Inangaro Vakaafi is from the South Pacific island of Niue. After Cyclone Pam struck the neighbouring island of Vanuatu, she shares what it is like to be a young person on an island of 1,400 people threatened by Climate Change. You might not have heard of my home island of Niue, but it is one of many small island developing states in the largest ocean in the world, the Pacific Ocean. I was born, raised and educated here most of my life and proud of my humble island origins. We live sustainable lifestyles greatly influenced by strong cultural values and indigenous knowledge that has been passed on from one generation to the next. This small island atoll may seem isolated but we have been involved in various regional and global processes despite often being overlooked because of our size and population. The Pacific is not one big landlocked region, but many scattered islands each with their unique languages and cultures. As a young person from the Pacific I believe that as global citizens we have just as much right to the promise of a better life as anyone else. I’ve recently returned from the 3rd UN World Conference of Disaster Risk Reduction in Sendai, Japan. But as world leaders and youth leaders were discussing ways to reduce the risks posed by disasters, I was having an internal battle to concentrate, because ironically at the same time, a category 5 cyclone (the most extreme type) had hit the Pacific, leaving devastation in its path. My thoughts drifted to despair knowing that back in my region many other young people and our communities were struggling through this disaster. However this made me more determined to raise our issues somehow at this international forum. When the UN Secretary General, Ban Ki-moon, addressed the Children and Youth Forum, by chance I was selected as one of six young people to speak. That was my chance to highlight that disaster risk reduction and integration of climate change were priorities for our region. Small Island Developing States continue to face the effects of disasters, some of which have increased in intensity and some of which have been exacerbated by climate change. These also impede our progress towards sustainable development. There’s a debate about whether Climate Change is real. I can assure you we are the human face of this man-made disaster. 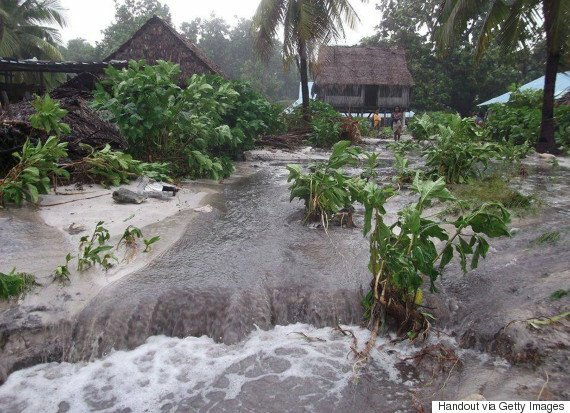 This is a reality we live with each day and for some of our neighbouring islands like Kiribati, Marshall Islands and Tuvalu they face the harsh reality that could see them become the world’s first climate refugees. 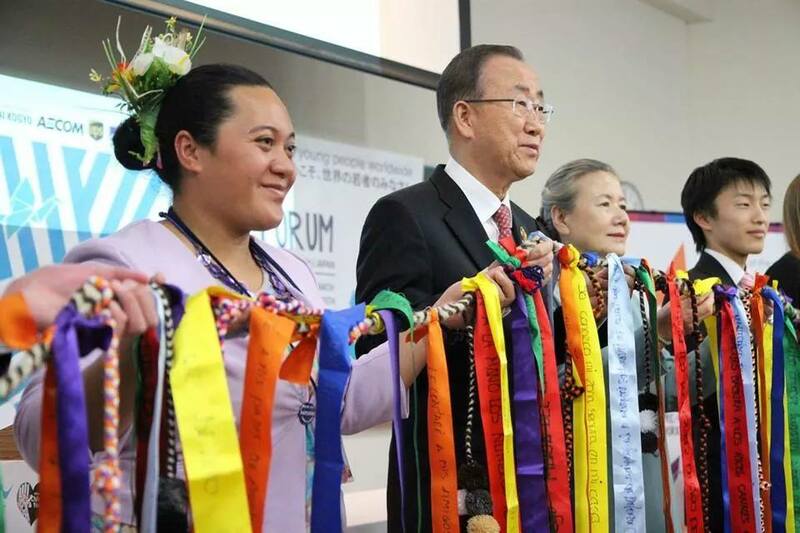 Inangaro with UN-General Secretary Ban Ki-moon at the World Conference on Disaster Risk Reduction. We are a proud people and it is not by choice that we move away from our homes but if that should happen we hope that we can migrate with dignity. For me personally my choice is to remain and toil on this land as my ancestors did. The core of our being is linked to the lands where we live, the culture that derives from that. So we are basically fighting for the right of our people, our islands and our cultures to exist. Climate Change is not something farfetched that the world can deal with further down the line. The Pacific is living with it now.